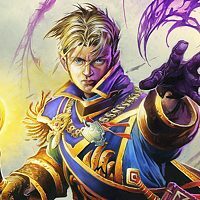 Per the title Hearthstone Crashes on nVidia 417.71 with GTX 970 and latest Win 10. Have uninstalled Battle/Hearthstone/nVidia and did a clean reinstall of all three, still the same issue. in module Hearthstone.exe at 0023:0090f157. C:\Program Files (x86)\Hearthstone\Hearthstone.exe, run by ewang. 0 MB user address space [3783 MB free]. 0x016fef24: 00005853 00000000 00001003 00fa2390 SX...........#..
0x016fef44: 00000000 00000010 00000001 016fefbc ..............o. 0x016fef64: 016ff224 016ff100 04358634 03817710 $.o...o.4.5..w..
0x016fef94: 06ec2894 00000000 06e72224 06e83874 .(......$"..t8.. 0x016fefd4: 00000006 043585e0 0056004e 00440049 ......5.N.V.I.D. 0x016fefe4: 00410049 00470020 00460065 0072006f I.A. .G.e.F.o.r. 0x016feff4: 00650063 00470020 00580054 00390020 c.e. .G.T.X. .9. 0x016ff0f4: 3fff0000 003acf22 00000000 0056004e ...?".:.....N.V. 0x016ff104: 00440049 00410049 00470020 00460065 I.D.I.A. .G.e.F. 0x016ff114: 0072006f 00650063 00470020 00580054 o.r.c.e. .G.T.X. 0x016ff224: 00000010 00000010 0111c3c0 016ff268 ............h.o. 0x016ff234: 0076bbbe 0000001b 00000010 04358638 ..v.........8.5. 0x016ff284: 0383f4d0 0111c3c0 04358634 016ff2a4 ........4.5...o. 0x016ff294: 0076b1aa 0383f4d0 00000006 043585e0 ..v...........5. 0x016ff2b4: 016ff8a0 0032b233 00000000 016ff84c ..o.3.2.....L.o. 0x016ff2e4: 77003037 00000000 b8f9c504 016ff364 70.w........d.o. 0x016ff354: 0000b100 00000001 010cd580 019d5700 .............W..
0x016ff374: 0381ea00 0089384c 0056004e 00440049 ....L8..N.V.I.D. 0x016ff384: 00410049 00470020 00460065 0072006f I.A. .G.e.F.o.r. 0x016ff394: 00650063 00470020 00580054 00390020 c.e. .G.T.X. .9. 0x016ff584: f9a2cc0b 016ff590 65bbf1b0 016ff5b4 ......o....e..o. 0x016ff614: 00000000 019d5700 0381ea00 010834c0 .....W.......4..
0x016ff634: 010cd580 00b60100 0056004e 00440049 ........N.V.I.D. 0x016ff644: 00410049 00470020 00460065 0072006f I.A. .G.e.F.o.r. 0x016ff654: 00650063 00470020 00580054 00390020 c.e. .G.T.X. .9. 0x016ff6c4: 00000000 00000000 00000000 0056004e ............N.V.
0x016ff6d4: 00440049 00410049 00470020 00460065 I.D.I.A. .G.e.F. 0x016ff6e4: 0072006f 00650063 00470020 00580054 o.r.c.e. .G.T.X. 0x016ff824: 0000001a 00000042 016ff864 0076bbbe ....B...d.o...v.
0x016ff864: 00000042 0076b8d0 01a8199c 019d5700 B.....v......W..
0x016ff894: 00000006 43000000 0032d283 016ff8bc .......C..2...o. 0x016ff8b4: f8e40000 044bc6e0 016ff8e4 00373a16 ......K...o..:7. 0x016ff914: 00000000 0360e300 0090c609 016ffbac ......`.......o. 0x016ff954: 004881e2 03e4ef00 00f58fe8 016ff9b4 ..H...........o. 0x016ffa14: 000306c3 00000042 00000042 03817c10 ....B...B....|..
0x016ffa64: 00000006 035f16a0 035f05a8 016ffa00 ......_..._...o. 0x016ffa84: 0000000f 00000038 00000042 0159b000 ....8...B.....Y. 0x016ffaa4: 016ffabc 00000003 00000042 03813950 ..o.....B...P9..
0x016ffab4: 03813988 03813988 0159b000 03813950 .9...9....Y.P9..
0x016ffac4: 0000003b 016ffaf8 b8f9cc9c 016ffb04 ;.....o.......o. 0x016ffad4: 0000003b 00000042 0360e3a0 0360e3a0 ;...B.....`...`. 0x016ffb04: 01098520 0360e3e0 00000000 0059b001 .....`.......Y. 0x016ffb44: f0e43ce7 0090f867 0090f867 0159b000 .<..g...g.....Y. 0x016ffbc4: 0159b000 76eb8460 d0c6b5c5 016ffc18 ..Y.`..v......o. 0x016ffbf4: 016fe934 769f5d70 b8f9ca3c 016ffbdc 4.o.p].v<.....o. 0x016ffc04: 016fe934 016ffc20 77c62bf0 ce58cda4 4.o. .o..+.w..X. Also, knowing some of the usual questions - Yes, I can play other games (mainly CIV VI) with this setup. No, I'm not running any 3rd party antivirus (just Windows Defender with the usual settings). Do you use a program called Citrix? Yes, I have the Citrix Desktop that I use to connect remotely to work. Is that a known issue (and if so, since I need it to work remotely, is there a workaround)? I don't use it myself, but I have seen several posts where it was causing problems. Not sure about a workaround...but others have said their issue was fixed when they uninstalled it. ...but others have said their issue was fixed when they uninstalled it. Am hopeful there is another solution! The Citrix software as mentioned above has been a common conflict with the game and there's been reports that this is affecting Unity games in general. There's a few posts out there such as this one or this one that you may want to look into that may help. What you're able to do will likely depend on what version of the Citrix software and what features you need for work. 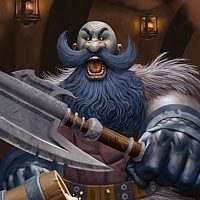 I know this is the Hearthstone thread, but I'd like to add I get the same exact crash with these drivers in WoW. I do not use Citrix. Rolling back drivers works fine. Must be something with latest Nvidia drivers and Blizz apps? Uninstalled Citrix, same problem. Will have to see if there's some way to roll back the nVidia drivers as Holymartyr mentions. Would be nice if someone from Blizzard or nVidia could speak to this directly. I'm also having crashes in Hearthstone since I upgraded to this driver version. It only happens sometimes. This morning I played several games in a row without incident. Now I can barely do anything in the program before it crashes. Thank you all for your reports! Does rolling back the driver version to a previous version like 417.35 or 417.22 resolve the crashes? If you have Freesync/Gsync or adaptive sync enabled, does it help to disable it? 3. Open and Extract the DDU. 4. Click on Clean and Restart. Note: Safe mode is not required, but can yield better results! 5. Restart, then Install the Drivers from Step 1. I usually play OW. I had no issues at all with the game. I updated to nvidia driver 417.71. I start having large lag spikes during matches. From 68 jumped to over 250. Stays like that until i get booted from the match, then corrects itself. I preform a computer format. Reinstall everything. No issues with 417.71. That was almost 2 weeks ago. Now today I am having the same lag spike issue. I uninstall the nvidia driver 417.71 and do a clean install of 417.33. So far I am having no issues. Hopefully it continues this way. I have not had a high latency issue or game disconnect since I did the clean install I mentioned above. IMHO reroll back to previous nvidia driver (417.33*) < I believe that's correct or very close. Thanks for the update, Zylo424! 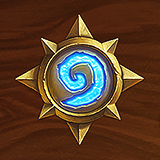 Just to confirm, this is with Hearthstone, correct? If not, it may be more appropriate to refer to the Overwatch Technical Support forums instead. I had this SAME problem to the T, I just uninstalled Citrix and it worked first try. It is with Overwatch, but I was unable to find any thread on OW forums. Since people in HS were having the same issue, I thought Id help out by posting it here. Just want to report that I had crashes with my HS and uninstalling Citrix resolved the issue for me. 1) Apply the nVidia update with Citrix STILL installed. This will make sure that the nVidia does not try to reuse any of the Citrix overlay information. 5) Confirm you can now run HS. Now install Citrix again. 7) You should now find that BOTH HS and Citrix work fine (at least until the next nVidia update). Not sure why this problem just started happening with the January and February nVidia updates, but tried this with both and it works. @NaweG, thank you for the update and potential workaround! We've been aware and tracking the Citrix compatibility reports. The only work around we've found so far has been to use an older version receiver like 4.12 for Citrix. If what NaweG posted works for you with the latest Citrix, please let us know with the card you're currently using as well to track Nvidia, Intel, AMD driver updates as well. I haven't tested the actual upgrade nVidia drivers + uninstall + reboot method mentioned above but, I can say removing Citrix then rebooting resolved my issue. Thanks for the tip!